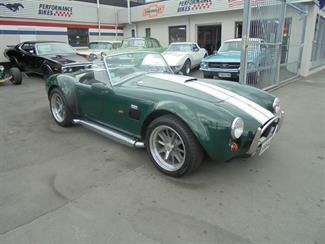 CARROLL SHELBYS LEGENDARY AC COBRA! 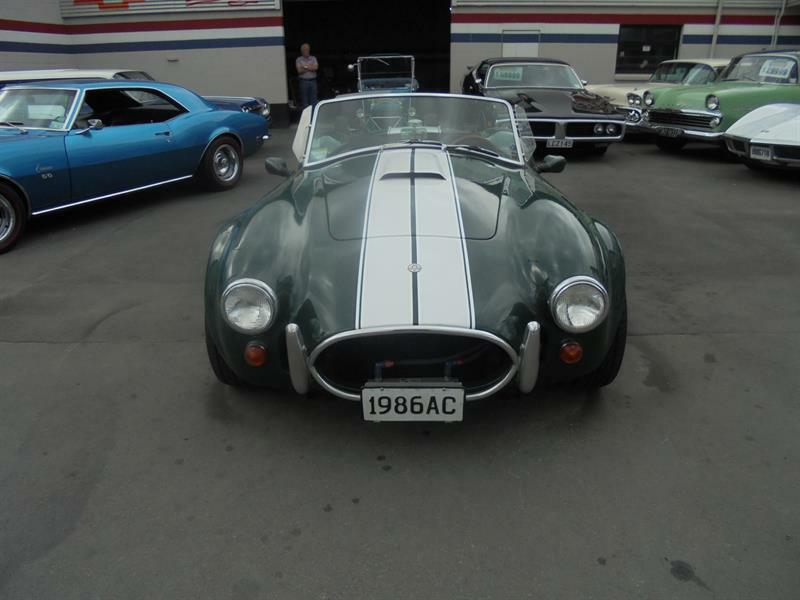 A car that needs absolutely no introduction. 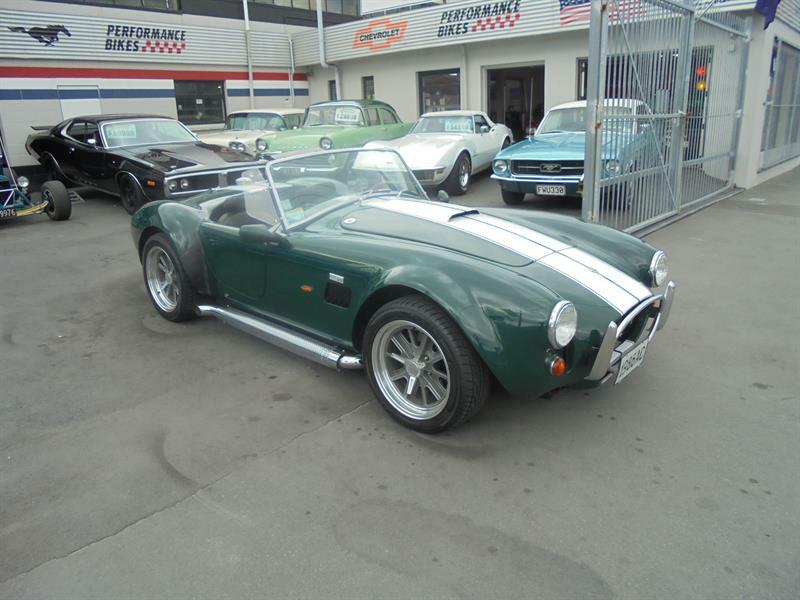 This is a neat Cobra replica with a bit of a difference.....it's been built with reliability and total driveability in mind, and draws on the extensive development of decades of General Motors Chevrolet Corvette engineering. 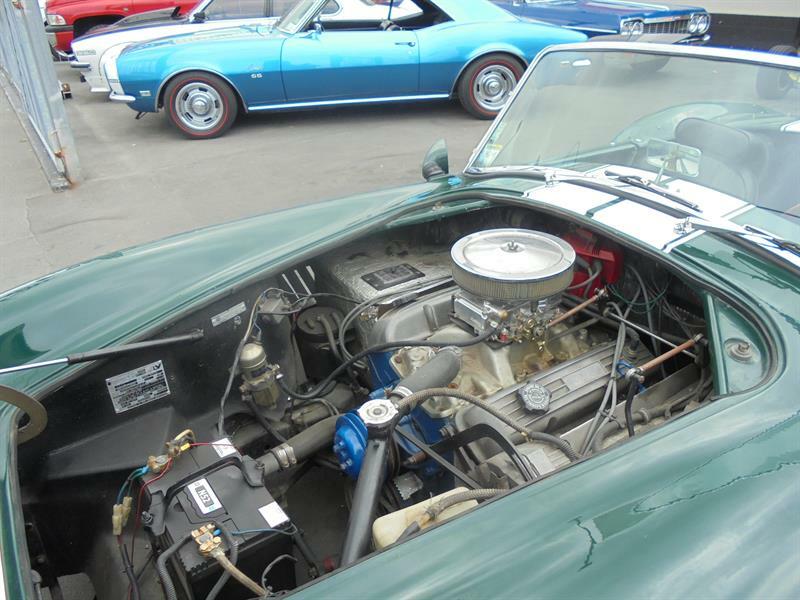 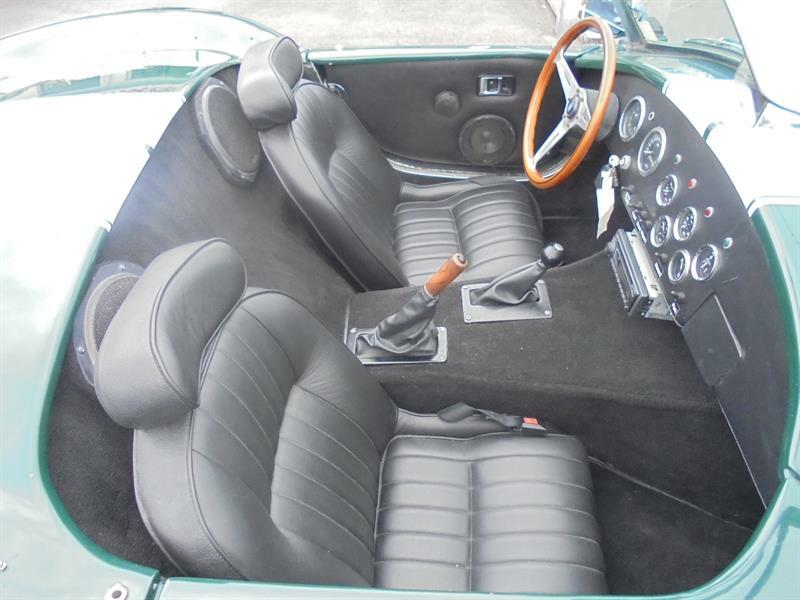 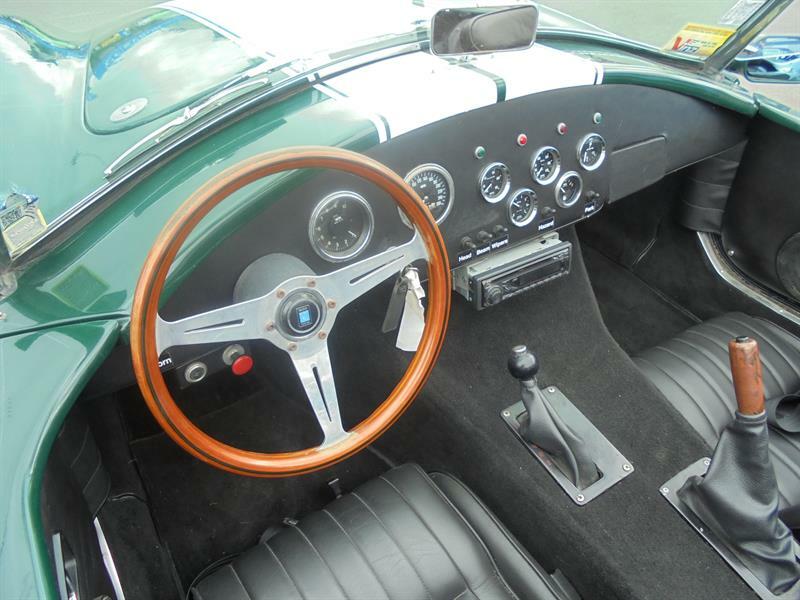 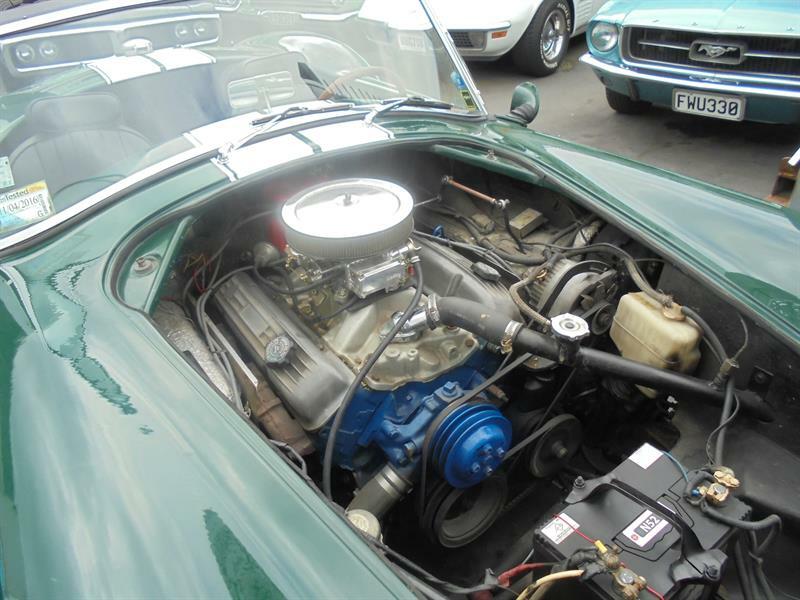 An all round user friendly example, this Cobra is based on a modified late C-3 Corvette platform, so incorporates the full chassis, full front and rear sub frames, and 350 ci small block engine of the Corvette, the engine is relocated back for better weight distribution and is coupled to an automatic transmission with power steering, and power assisted four wheel disc brakes, with four wheel fully independent suspension, combine all of this with a light weight reinforced fibre glass body, and you get a pretty impressive performance package! 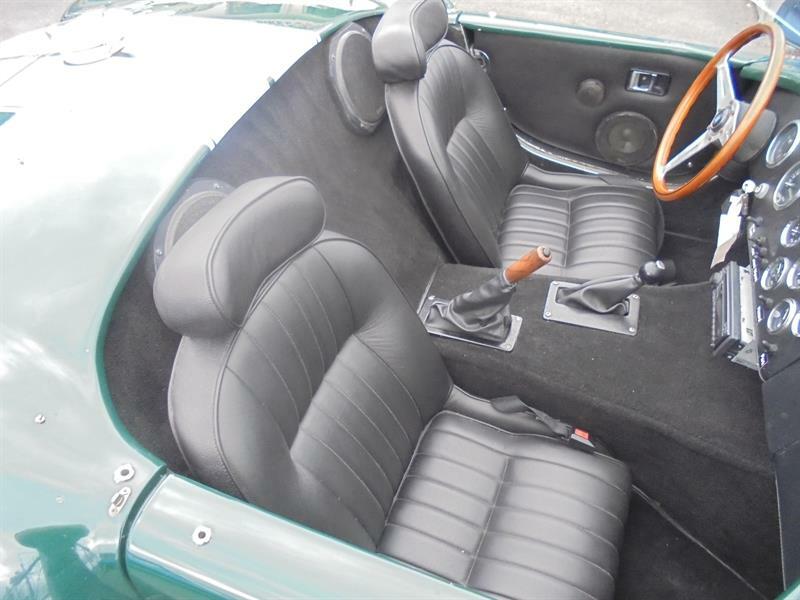 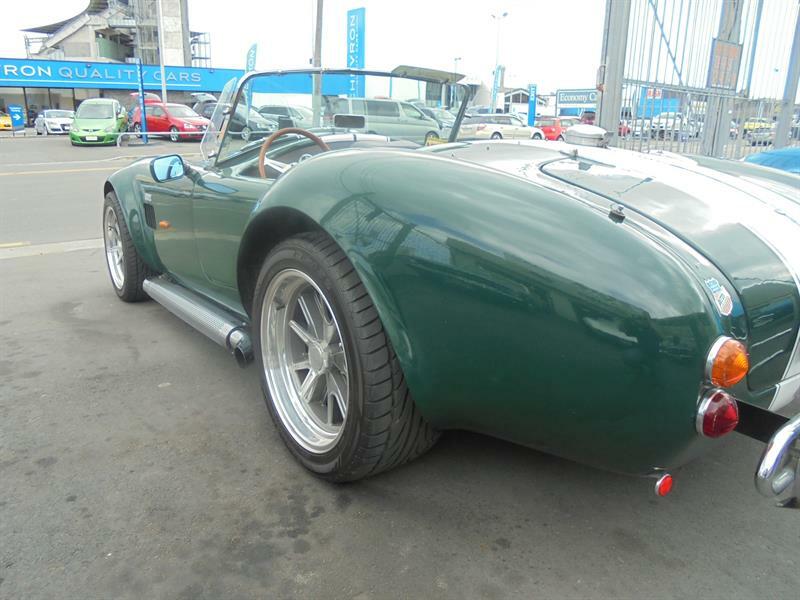 Tidy damage and crack free body work with tidy presentable paint in traditional British Racing Green, with Le Mans style run way stripes, gives this car a great look. 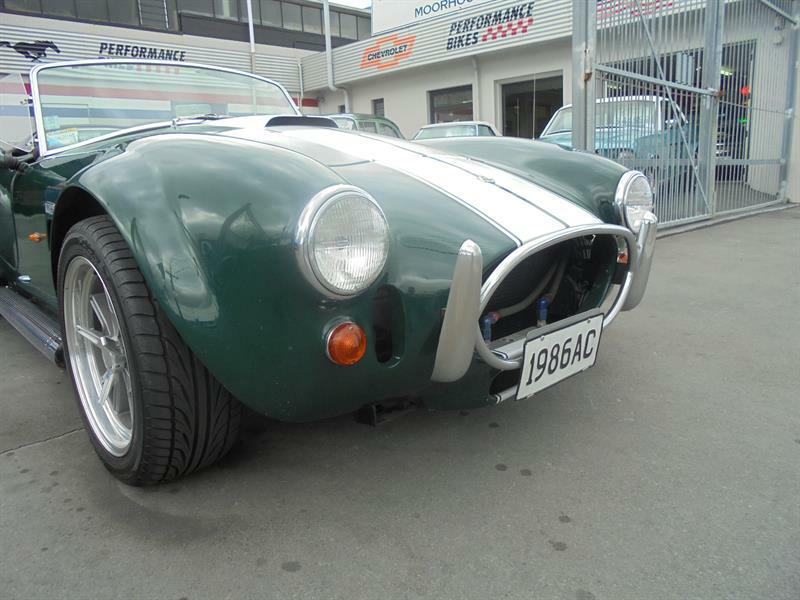 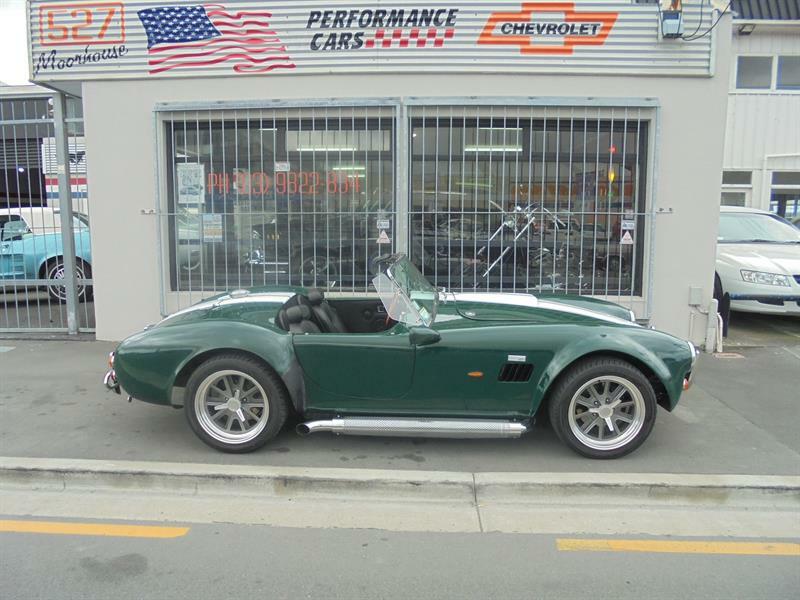 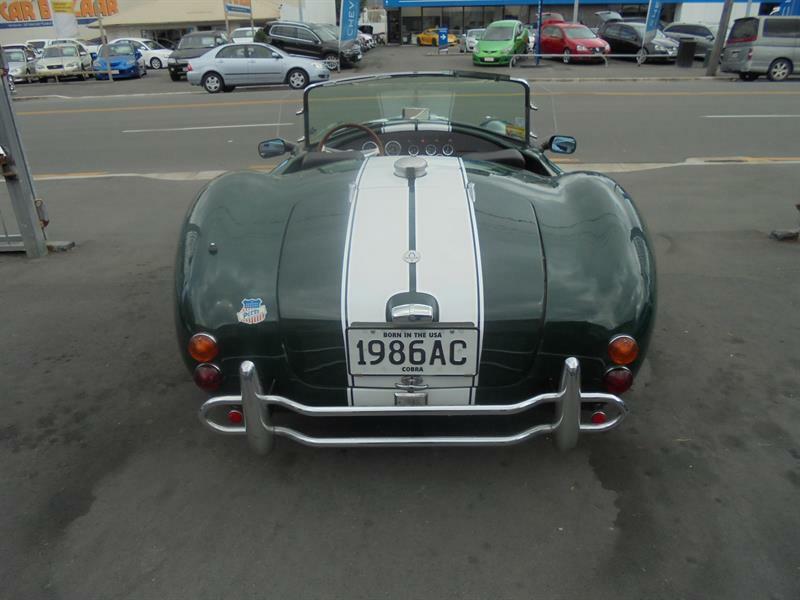 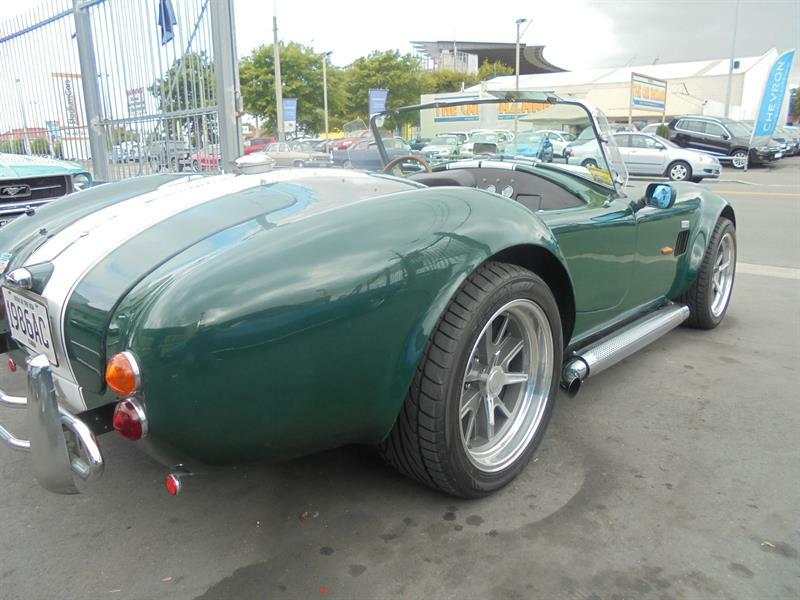 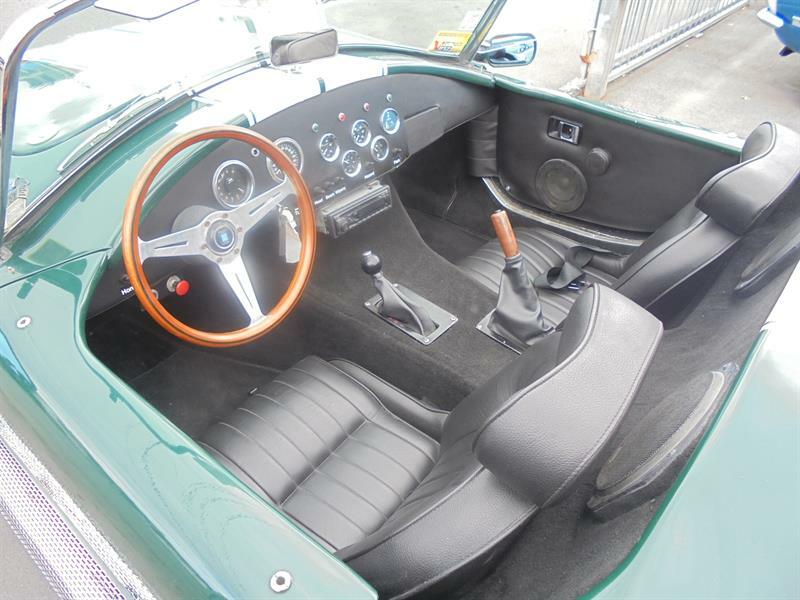 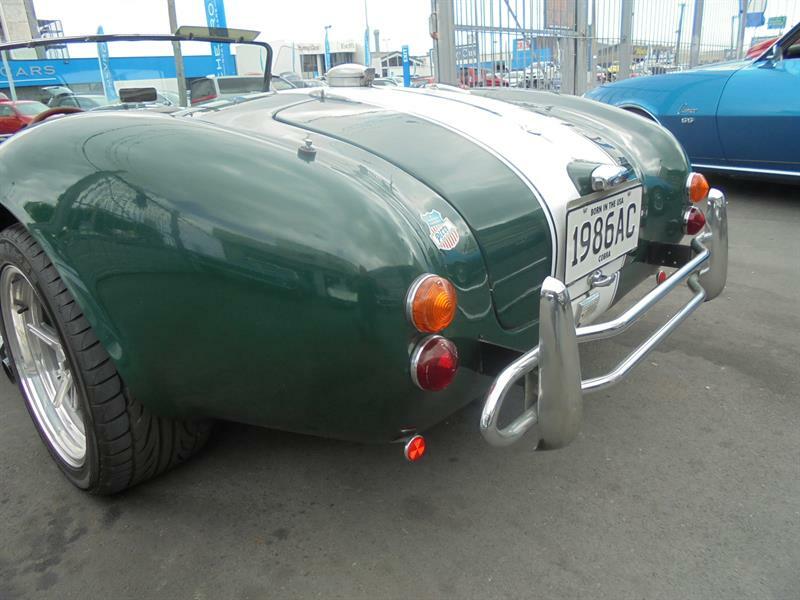 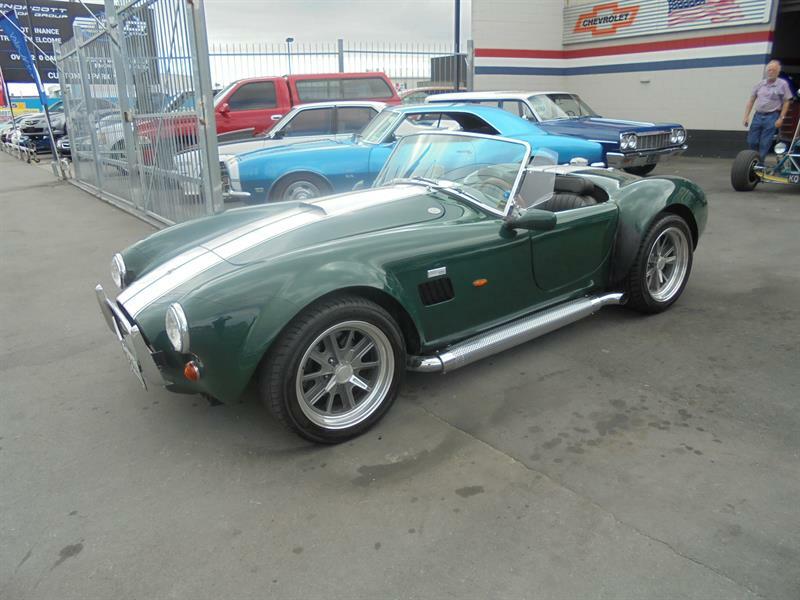 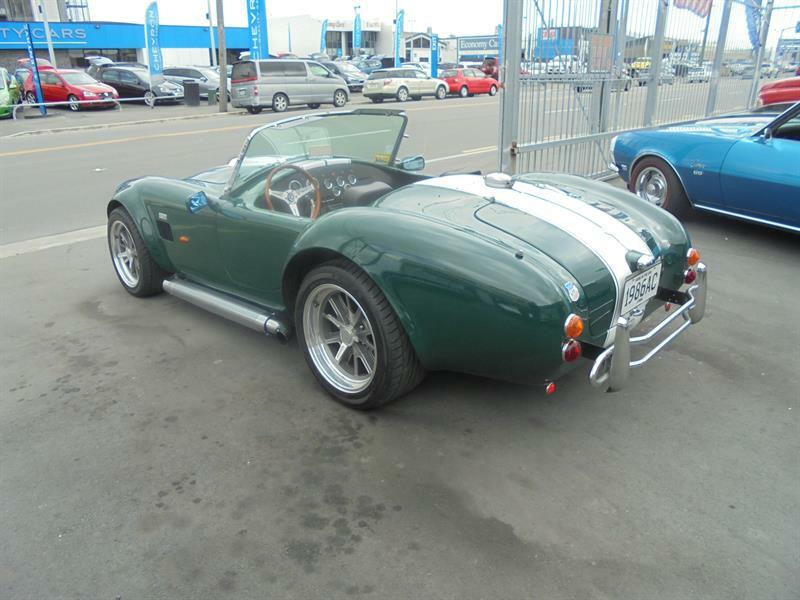 Well thought out and built to be driven, this little Cobra has a lot of neat old school touches, and it has a traditional look and drivability well beyond its price tag, which would be less than half the cost of building a traditional locally produced car. 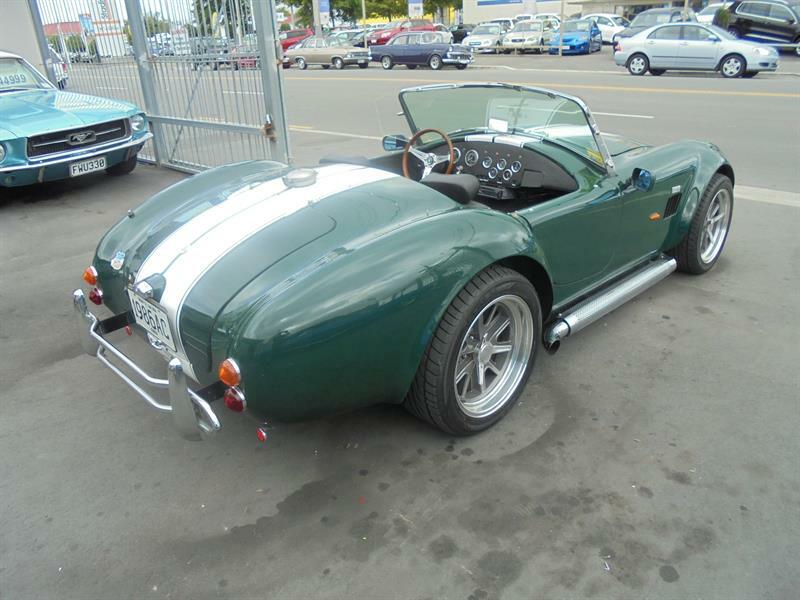 Well worth a look if your after a Cobra that you can really drive anywhere without the worry of a big $$$ car, and maintain without the associated expense of a hand built specialty car. Previously sold by us a few years ago, this Cobra has recently had a full re trim throughout in black vinyl, and has been fitted with brand new chromed side pipes, and a brand new set of polished AC style Knock Off alloys, with brand new low profile tires, so really looks the part! 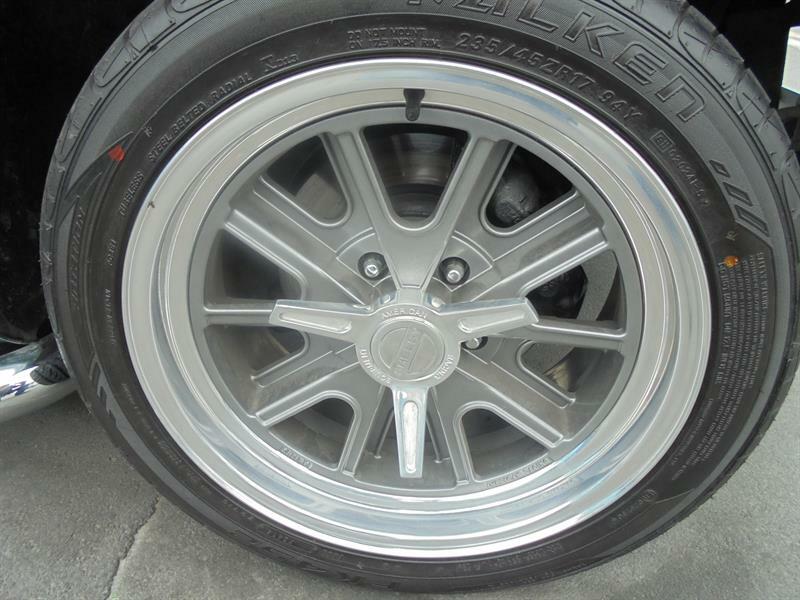 Call today for further information and details.